Opened in 1864 by Friedens Evangelical and Reformed Church. Originally named E and R Cemetery, later named Kopf Cemetery. 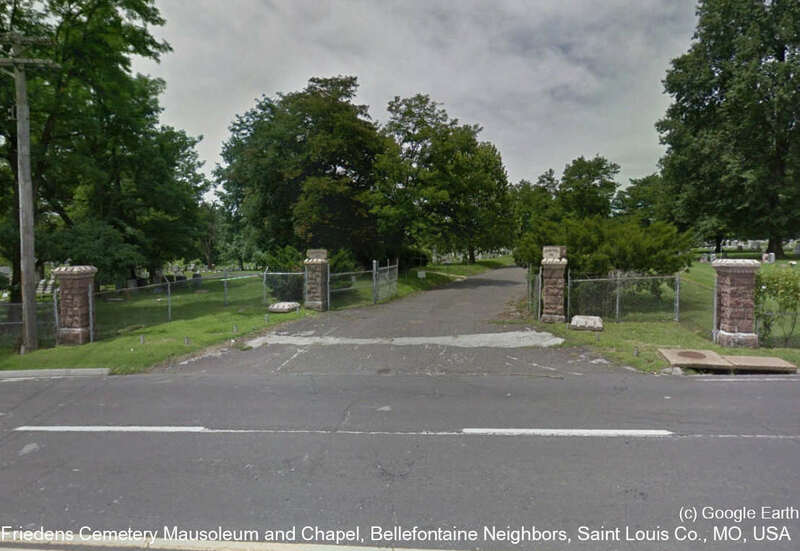 The cemetery is located at 8941 N. Broadway near Riverview Dr. at the city boundary. This address is at Bellefontaine Rd. just south of Bellefontaine Neighbors. Records prior to 1900 no longer exist.